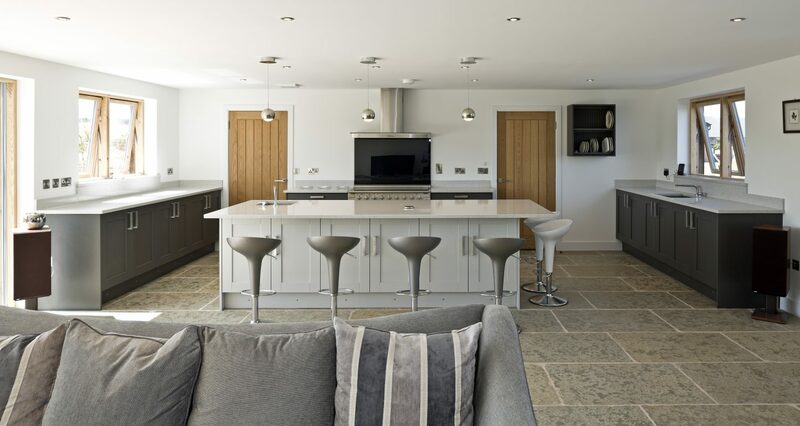 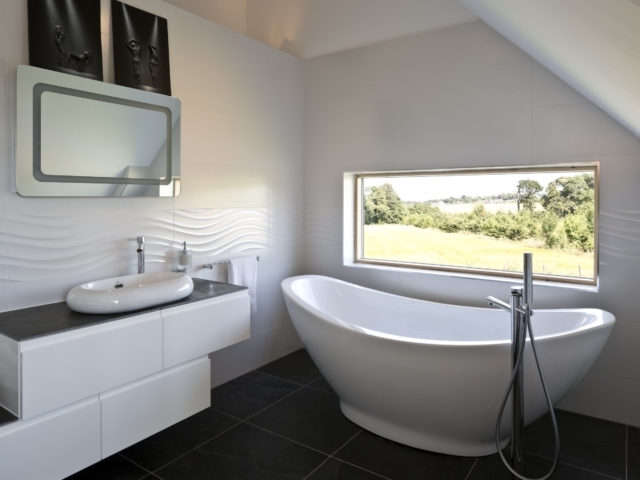 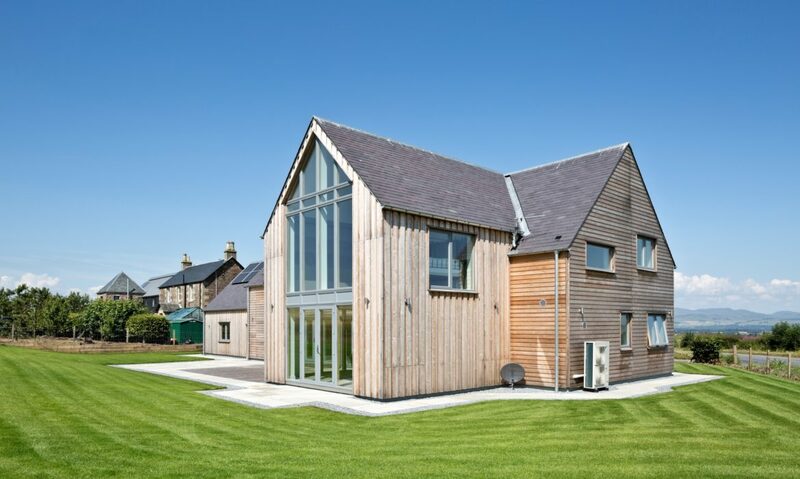 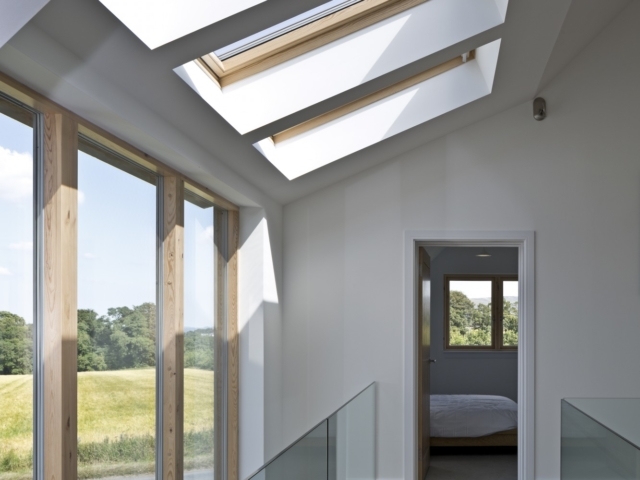 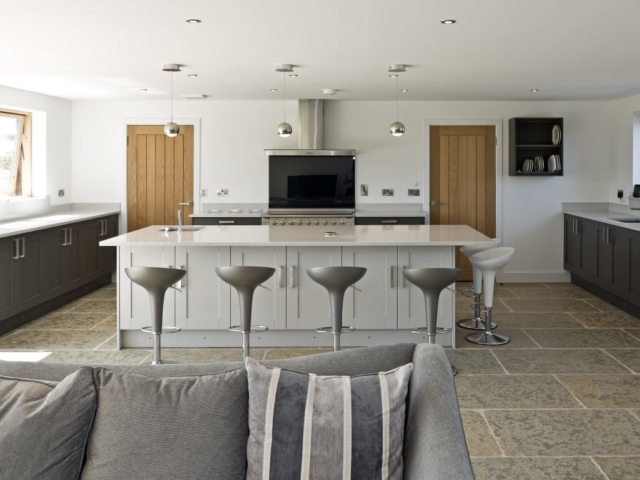 In 2013, retired aircraft pilot, Colin Amor, appointed AC Architects to design his new Self Build home, after an extensive search and interview process of various national architects. 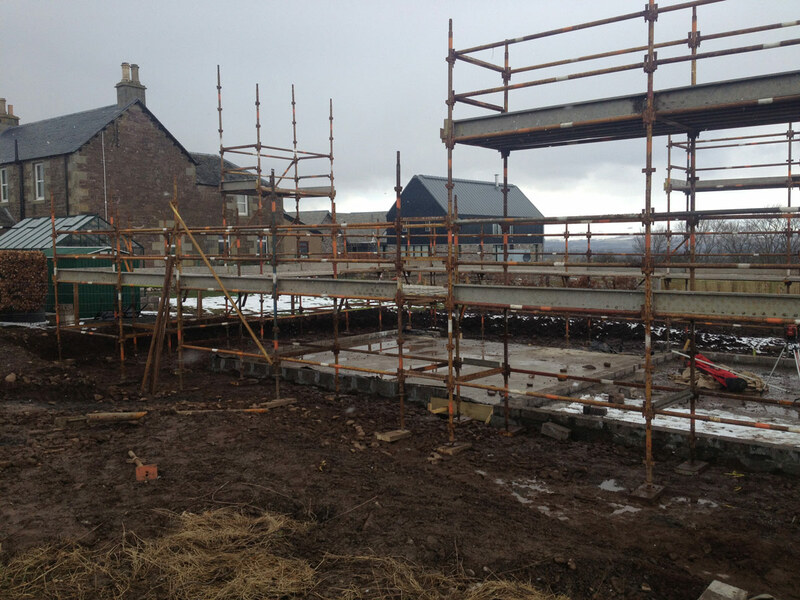 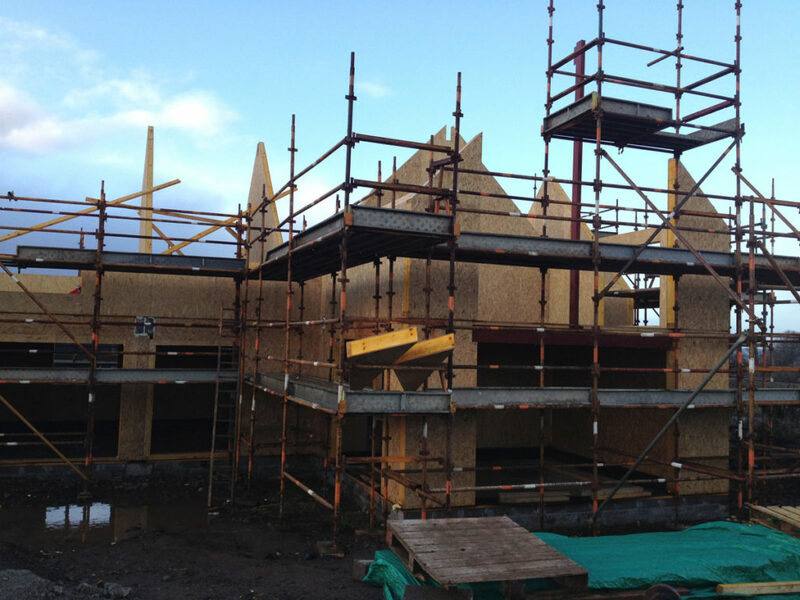 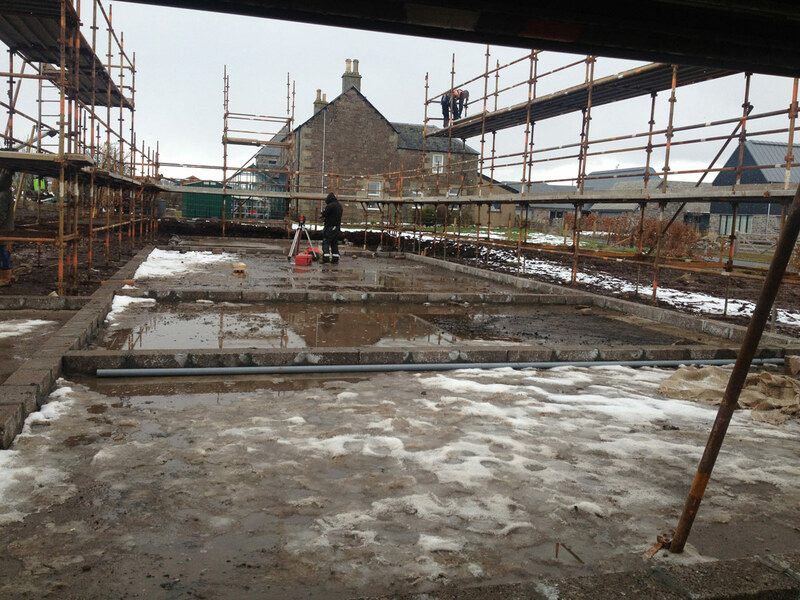 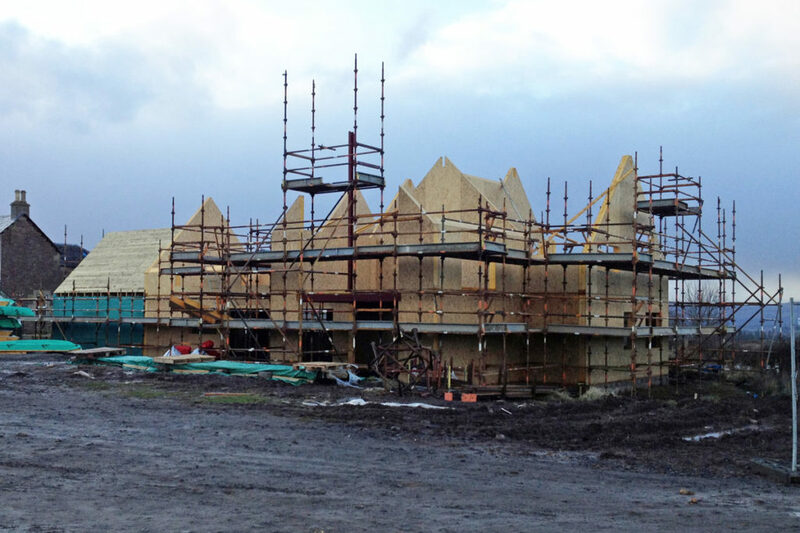 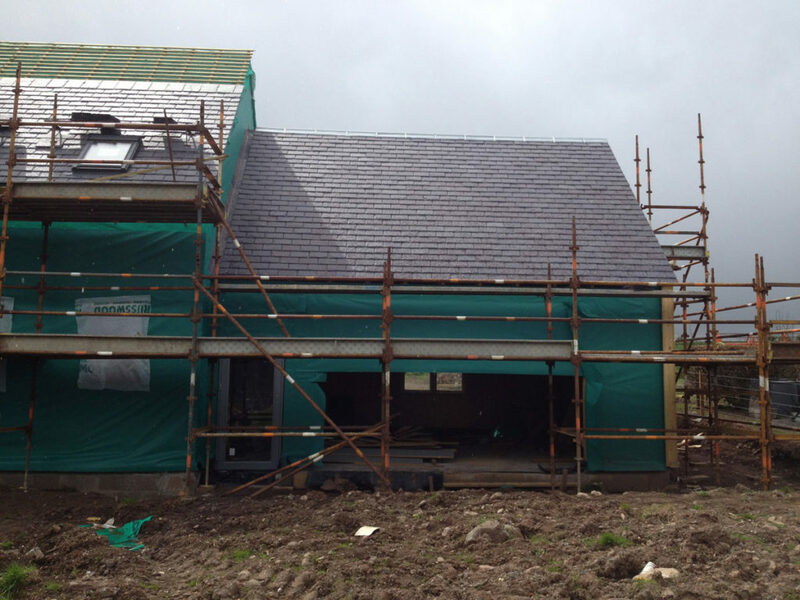 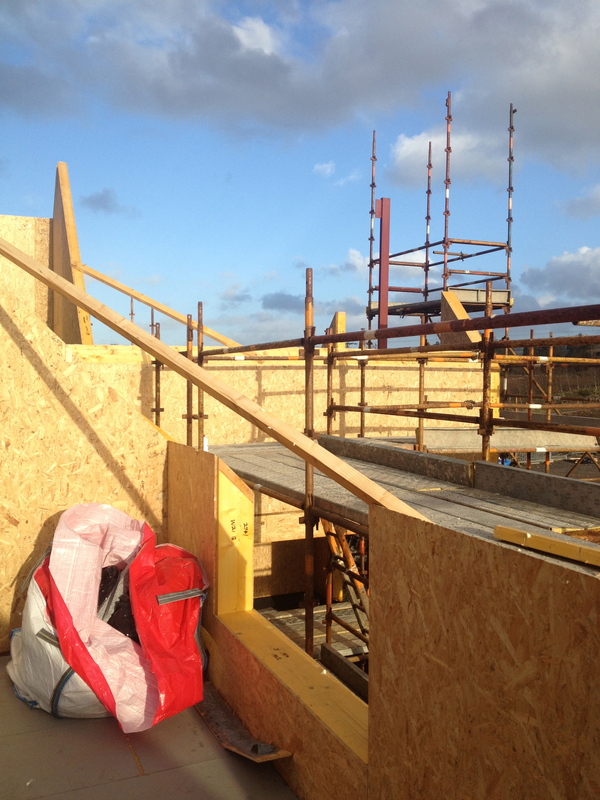 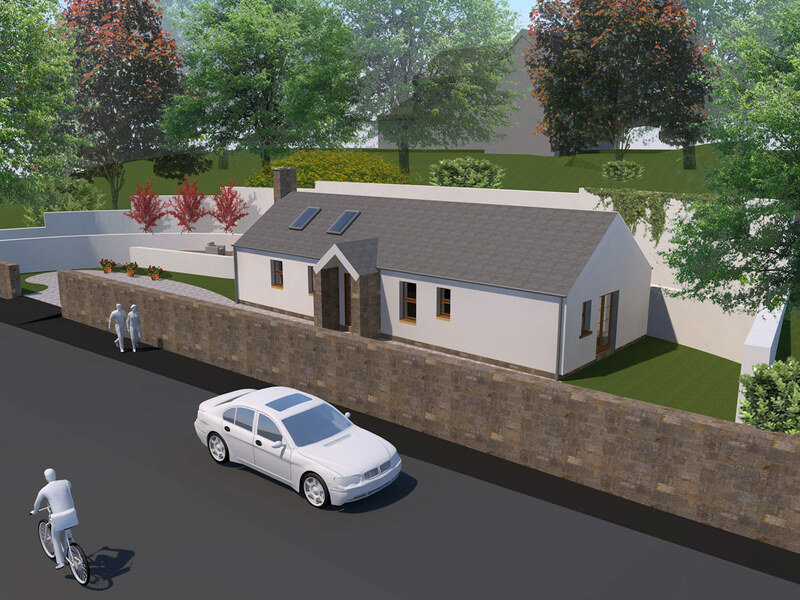 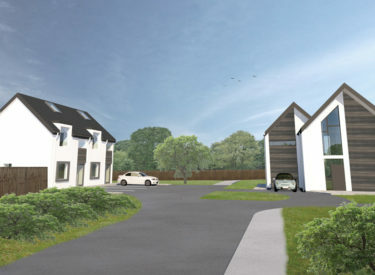 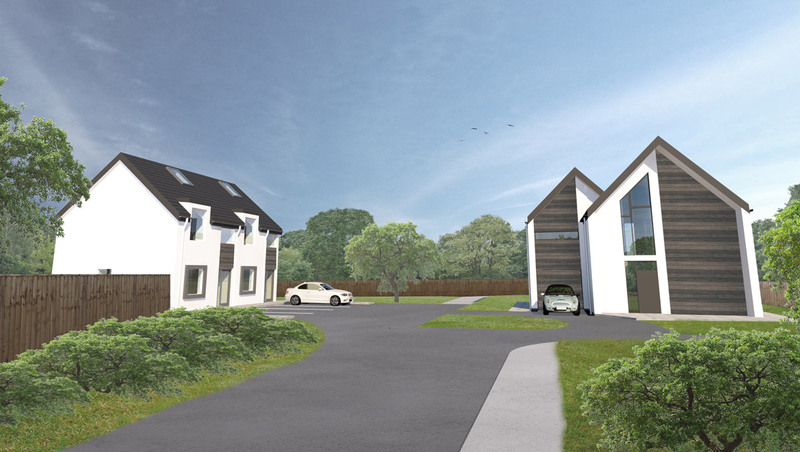 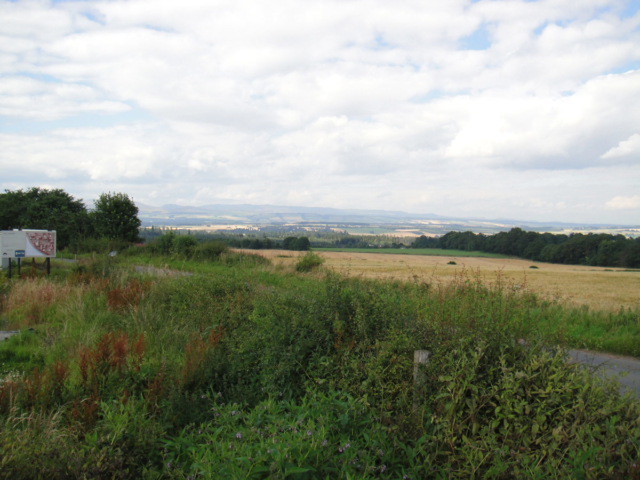 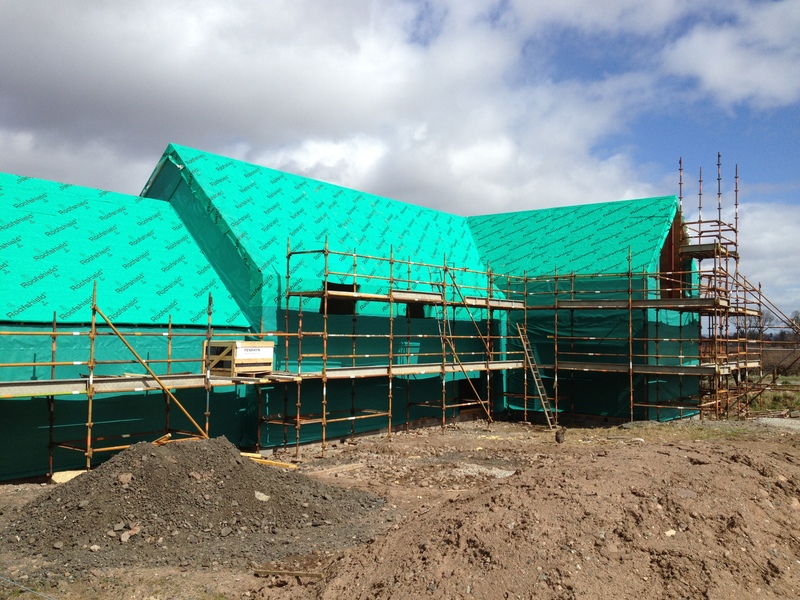 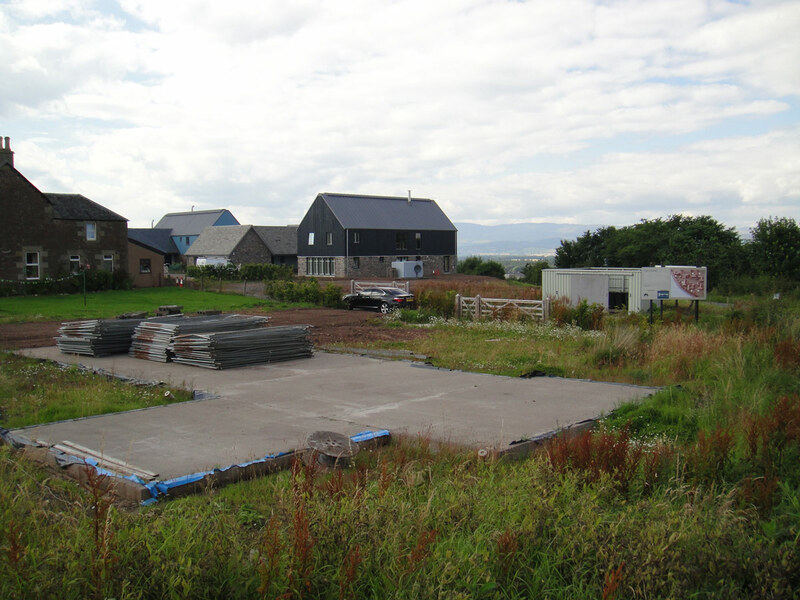 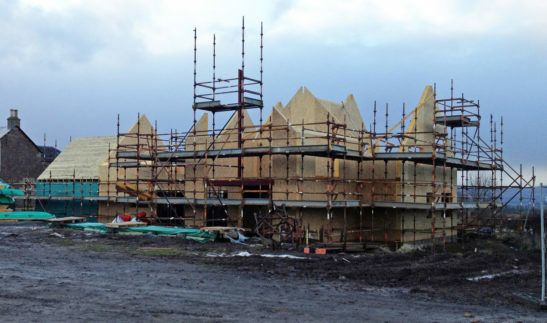 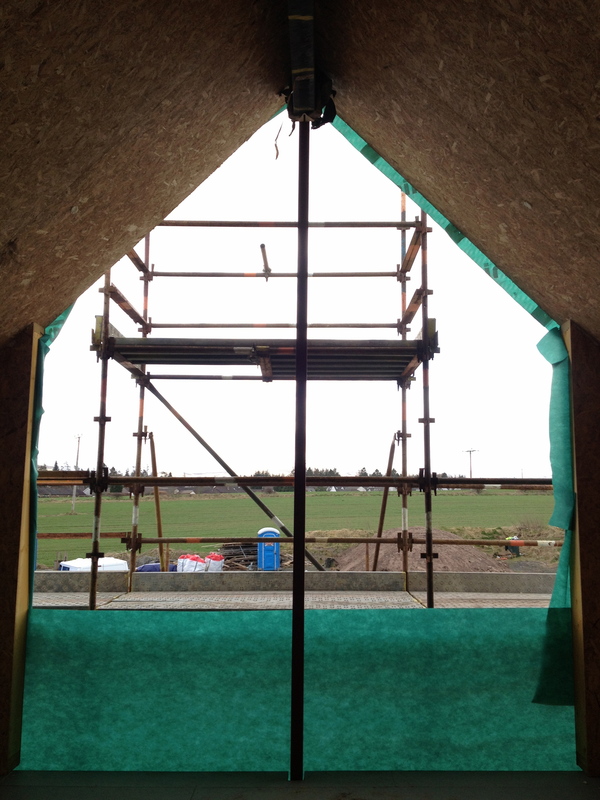 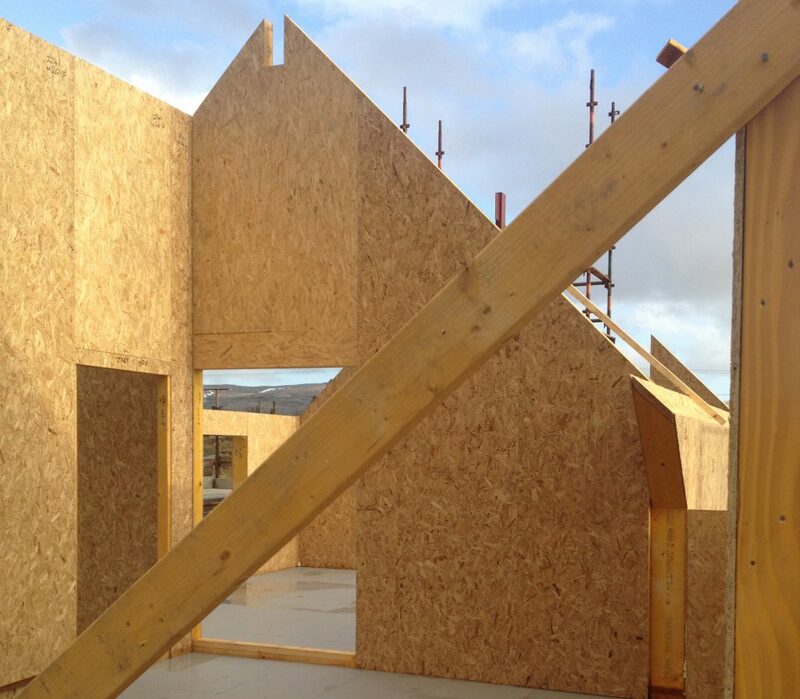 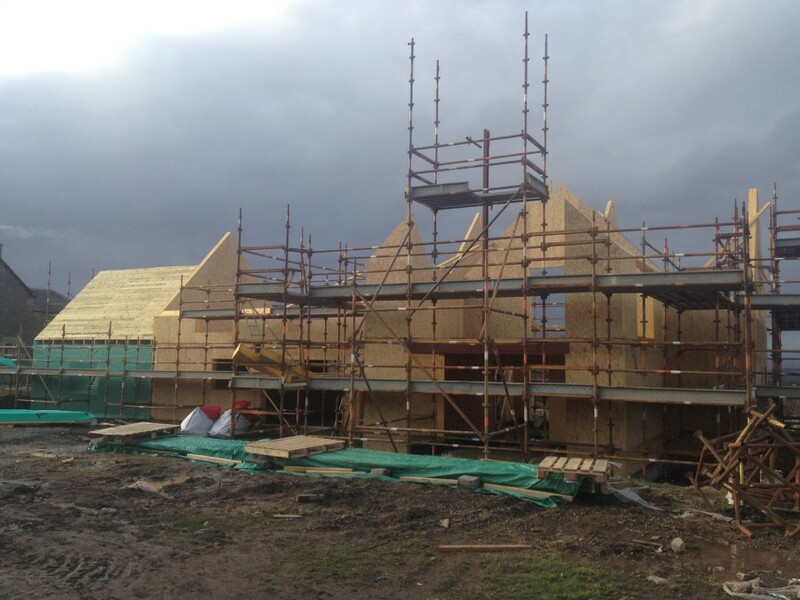 The work on the site in Auchterarder – near the Gleneagles Golf Course – had been started by a previous developer, who had solely completed the foundations prior to running out of money. 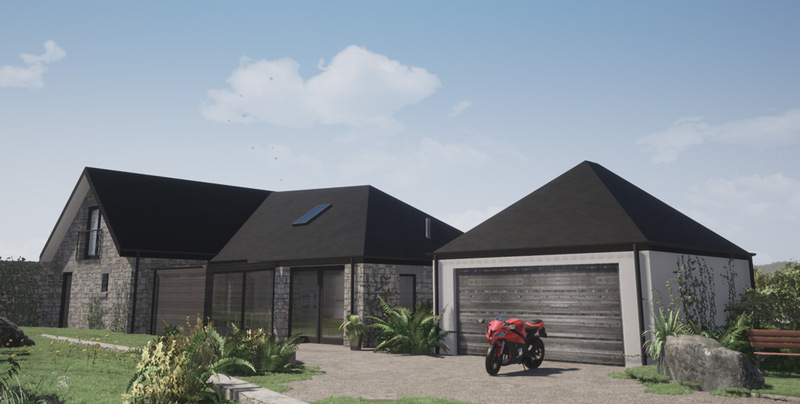 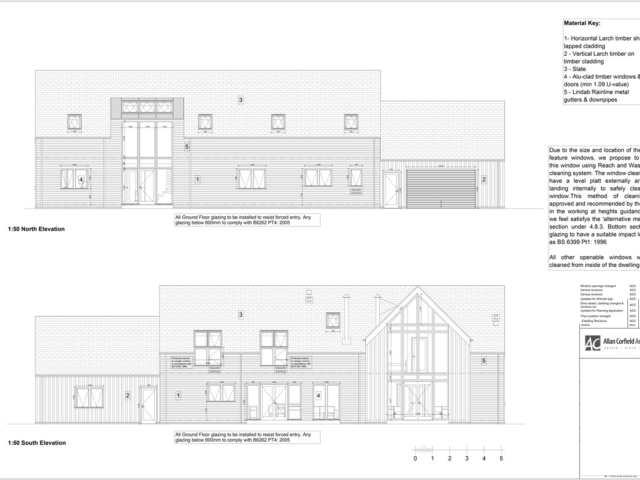 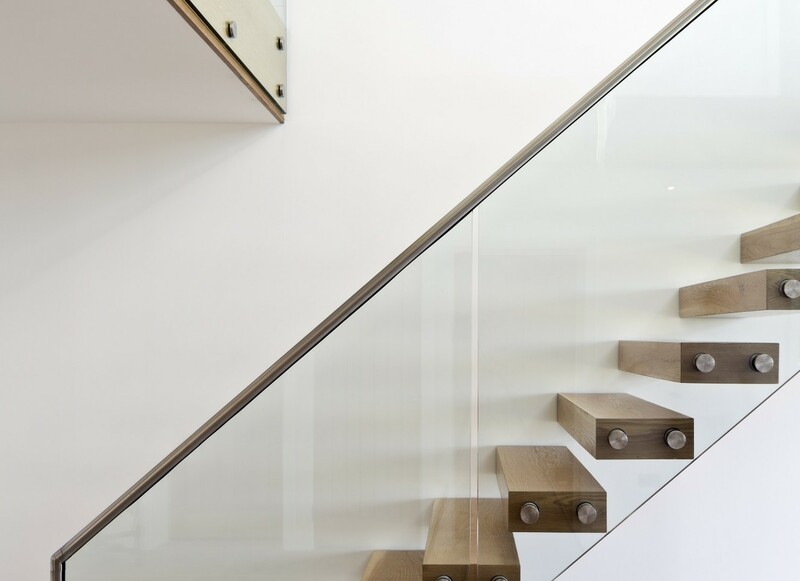 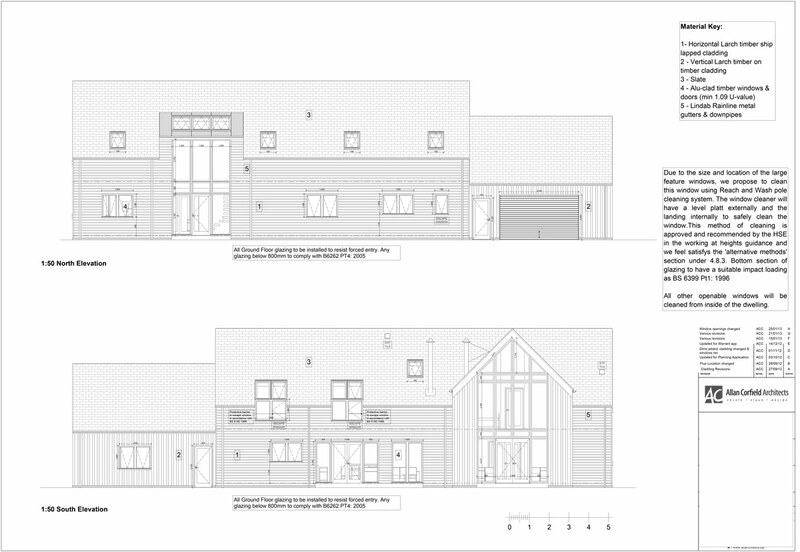 This meant that ACA had to design a bespoke home which met the client’s brief but also fitted on to the existing footprint – a new and exciting challenge for ACA. 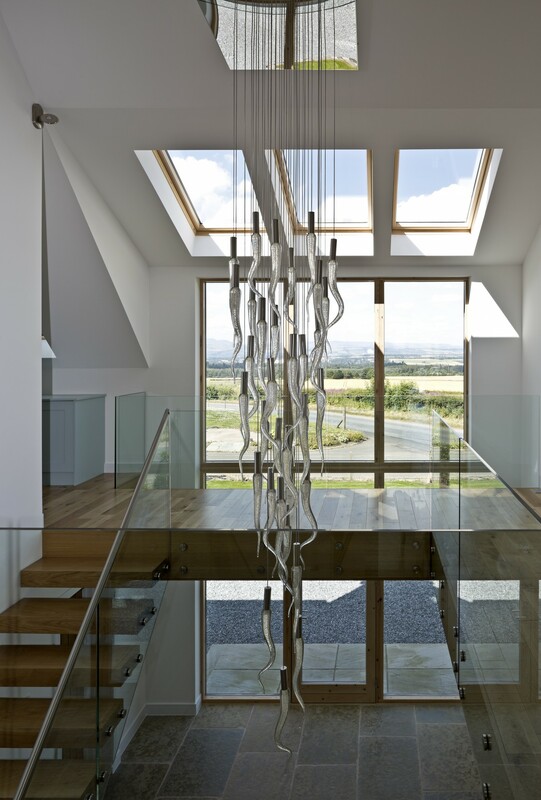 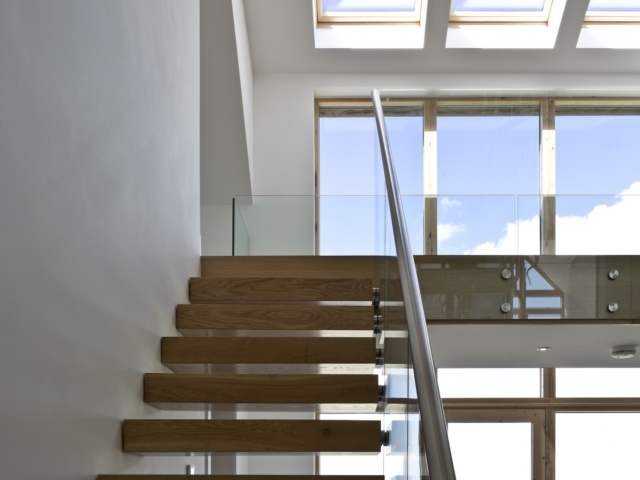 The client was keen to create a large open-plan house, flowing from space to space, which all centred around a double-height atrium – featuring a linking bridge that cut across the central atrium on the first floor. 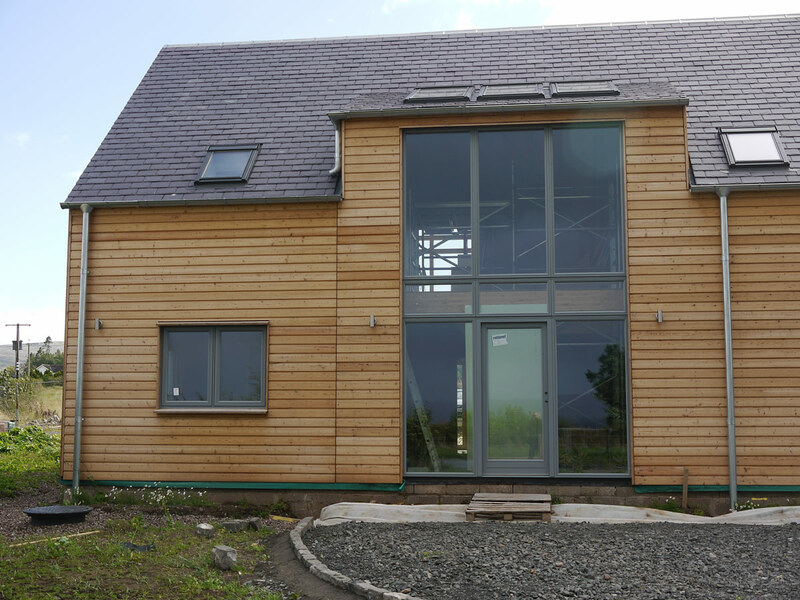 The house was built with Structurally Insulated Panels (SIPs) from SIPs Industries. 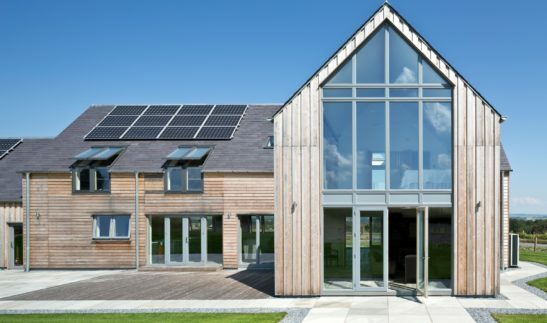 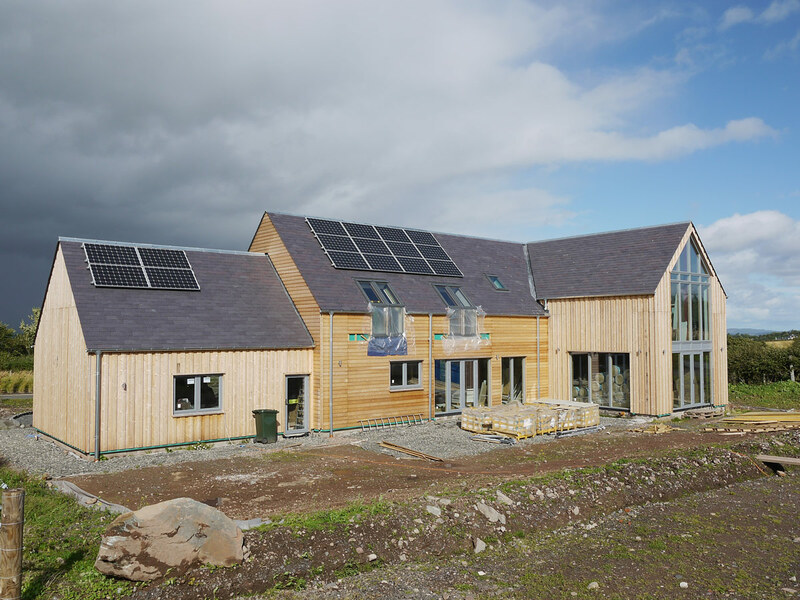 The house featured a whole load of renewable energy technology including a Daiken air-source heat pump, Paul Mechanical Ventilation Heat Recovery, triple-glazing from ADW, and 4Kw of PV panels. 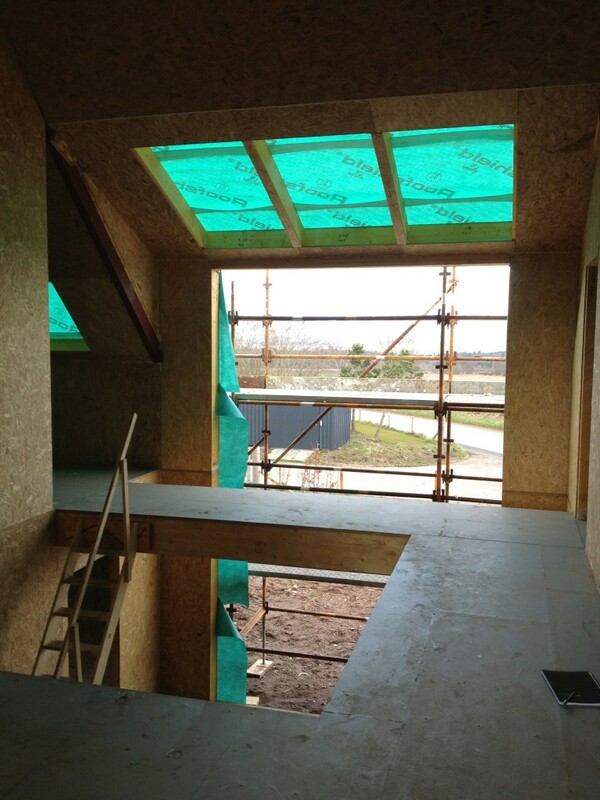 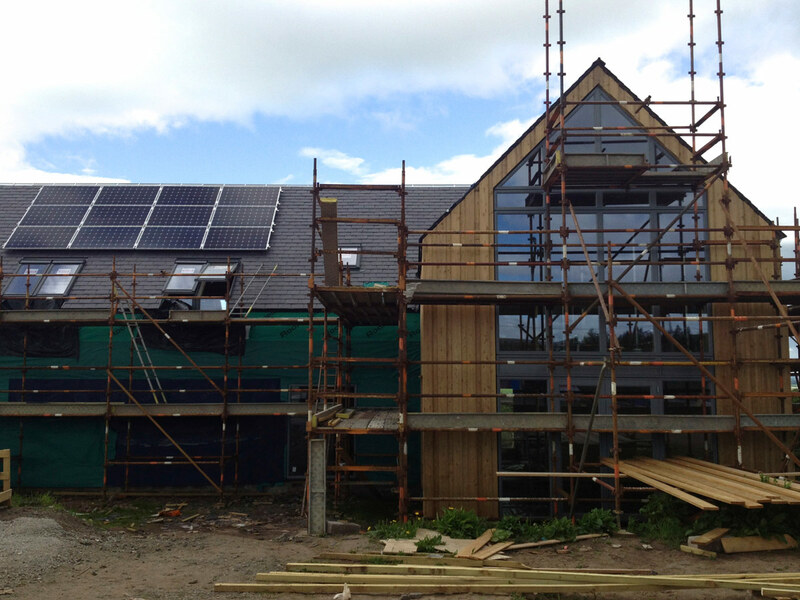 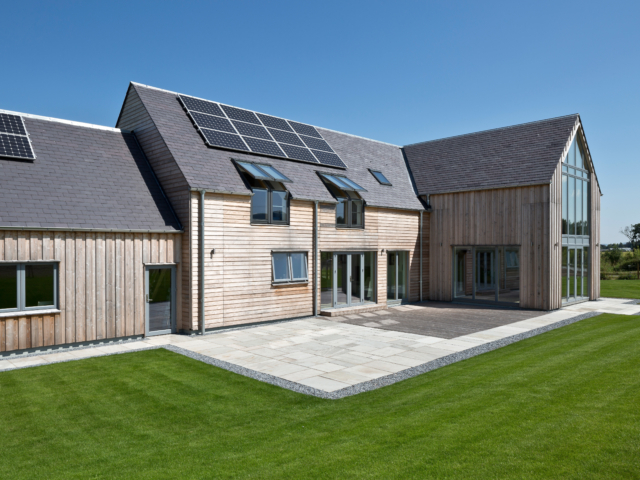 Due to the airtightness, high insulation values, and the renewable heating sources put in place, the client has yet to receive an electricity bill – and has made back on average £400 per quarter from renewable heat incentive payments. 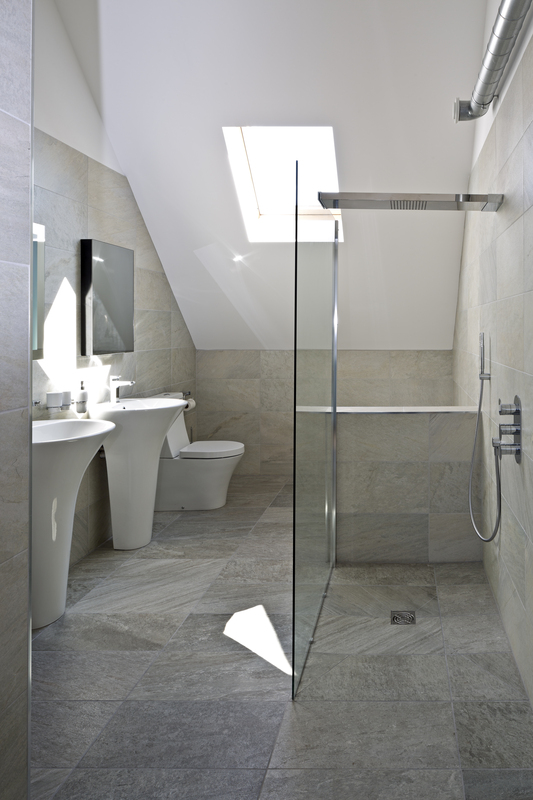 The large dwelling of around 350m2 has five bedrooms – all with en-suite – and a large family bathroom. 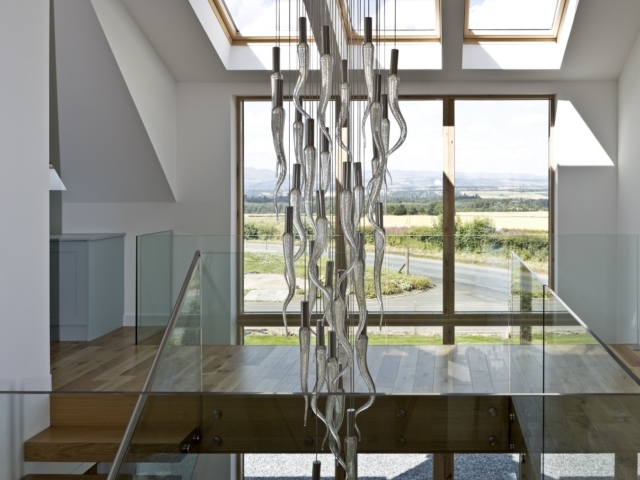 The main central atrium creates a family dining space – and on the first floor, a lobby seating area where you can look over the double-height atrium, with views across the rolling countryside. 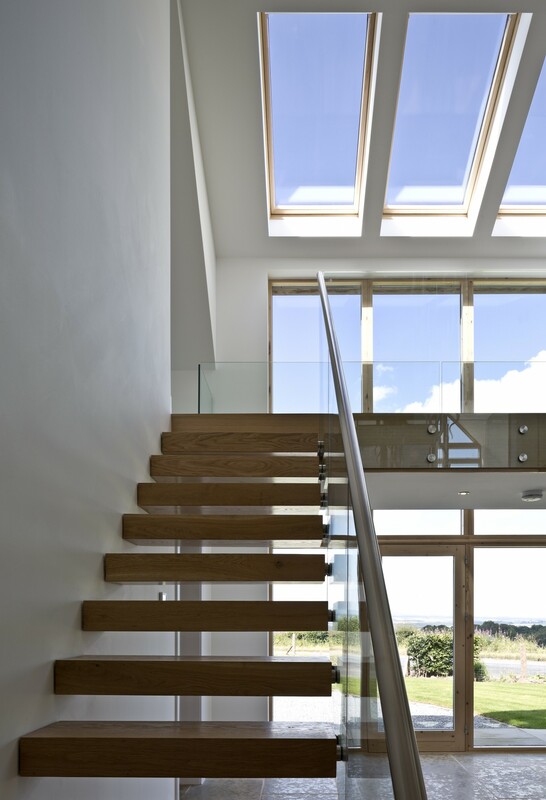 The atrium has a feature staircase that is cantilevered from the internal load bearing walls with glass balustrades and open timber treads. 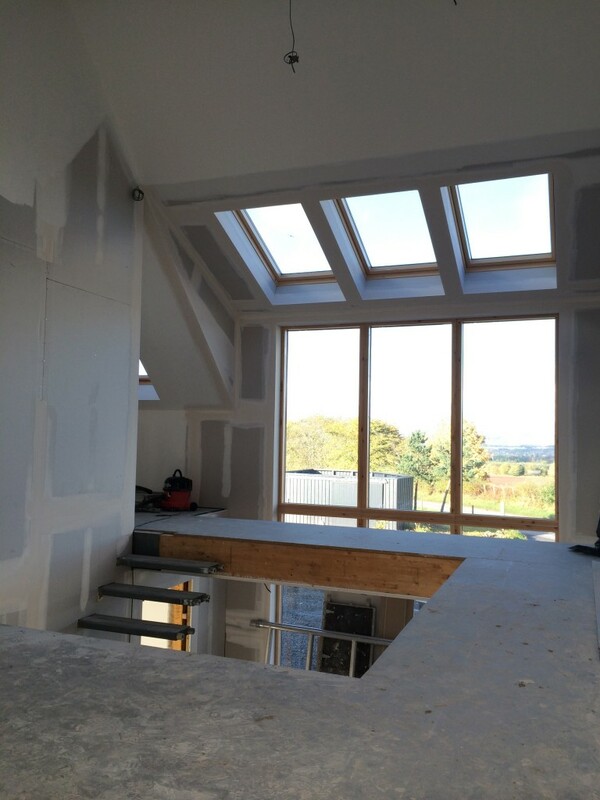 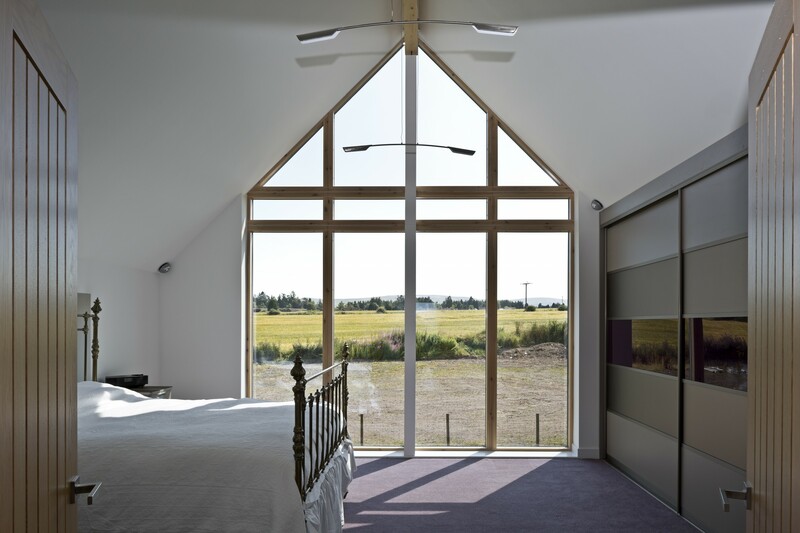 The key spaces in the house are a storey and a half in height, with the master bedroom suite featuring a glazed gable that gives a different, but equally stunning view of the sprawling countryside. 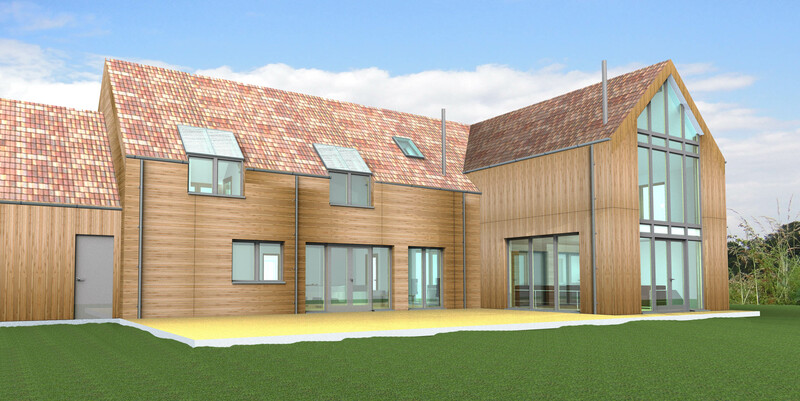 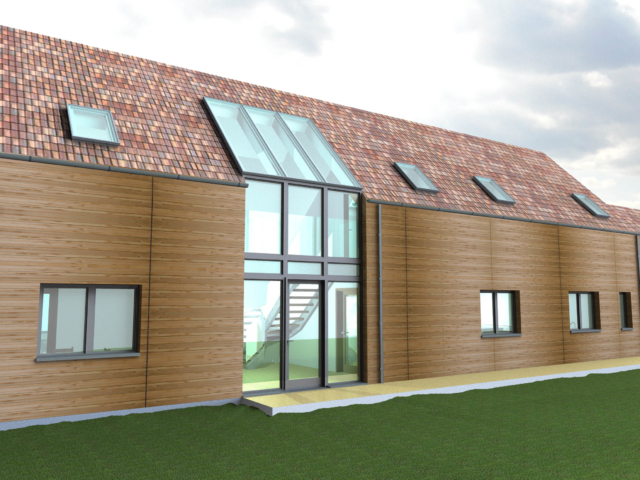 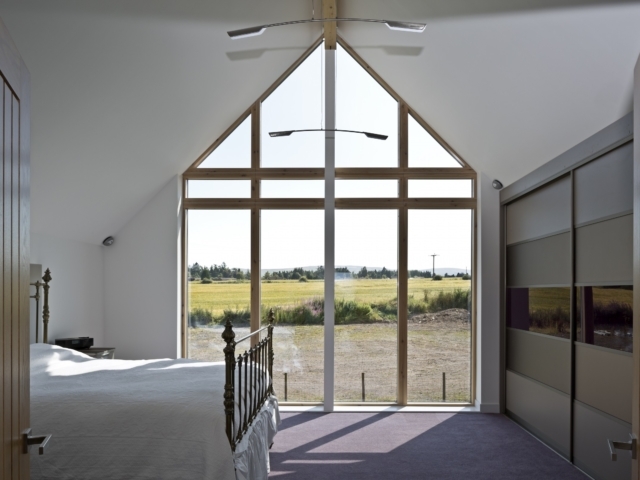 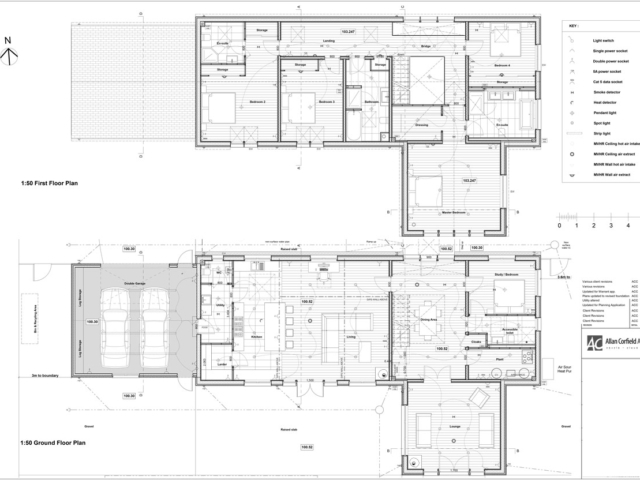 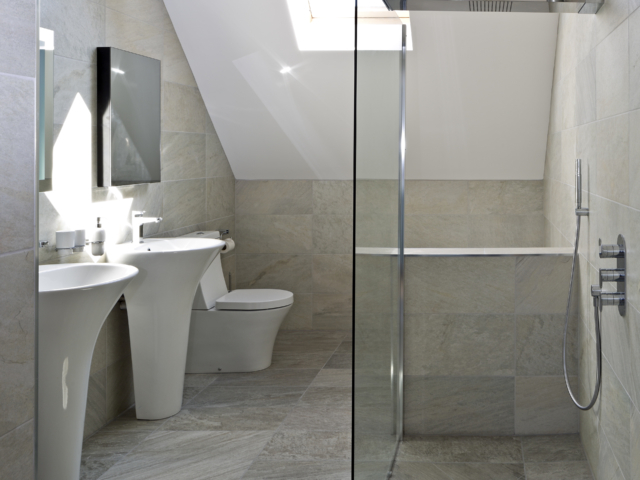 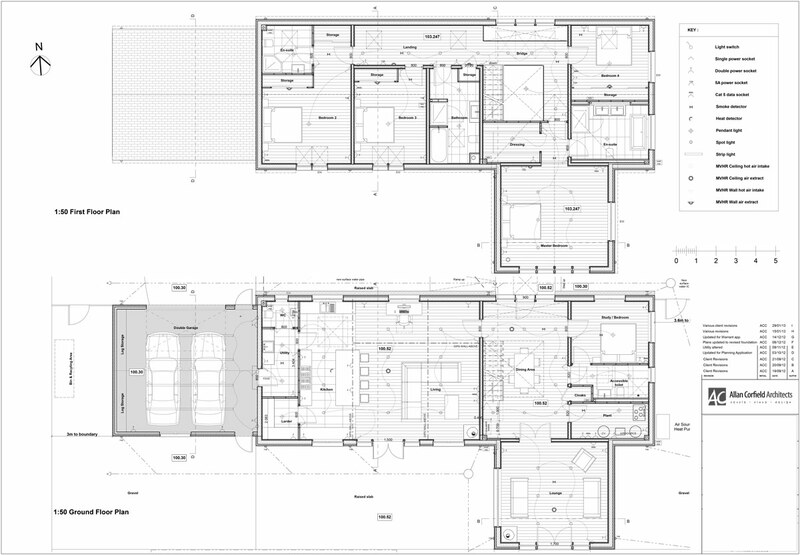 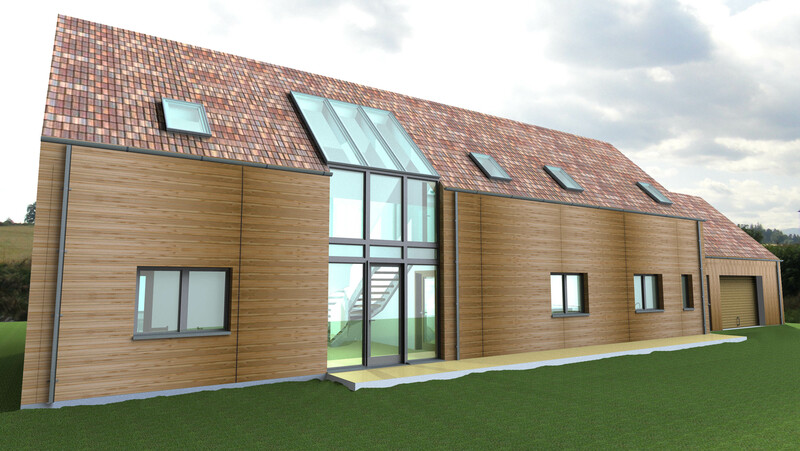 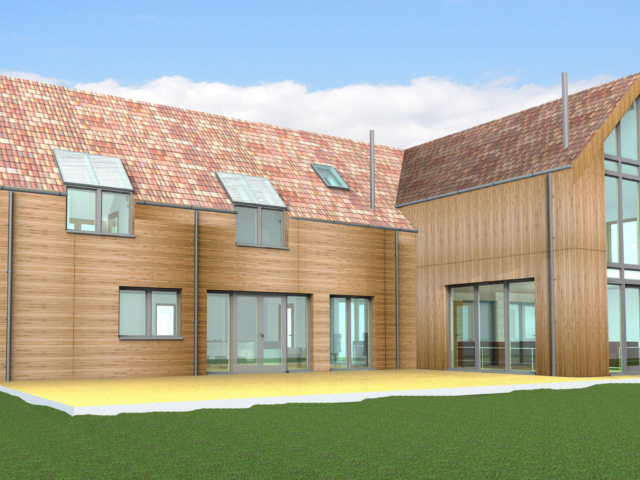 The client was keen to future-proof the house, therefore if the occupants can only use the spaces downstairs in later life, there is an accessible family bedroom with en-suite and all of the other necessary accommodation. 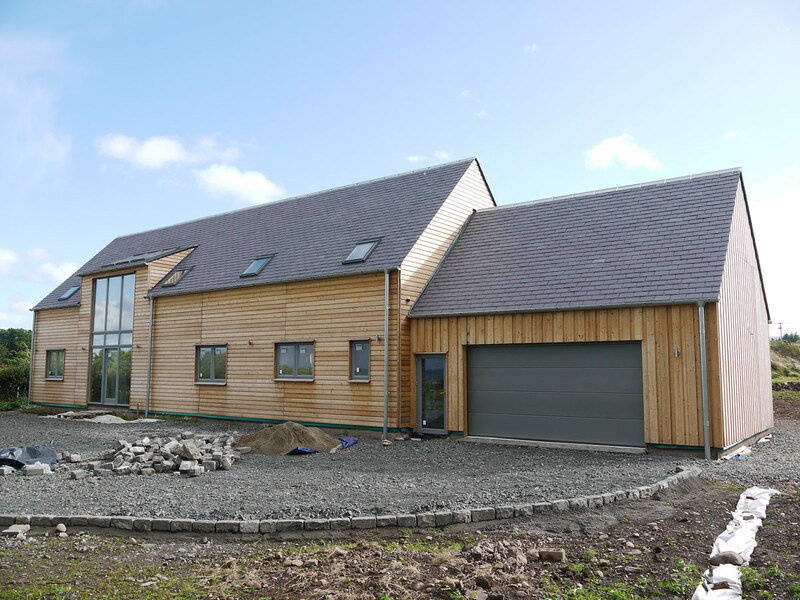 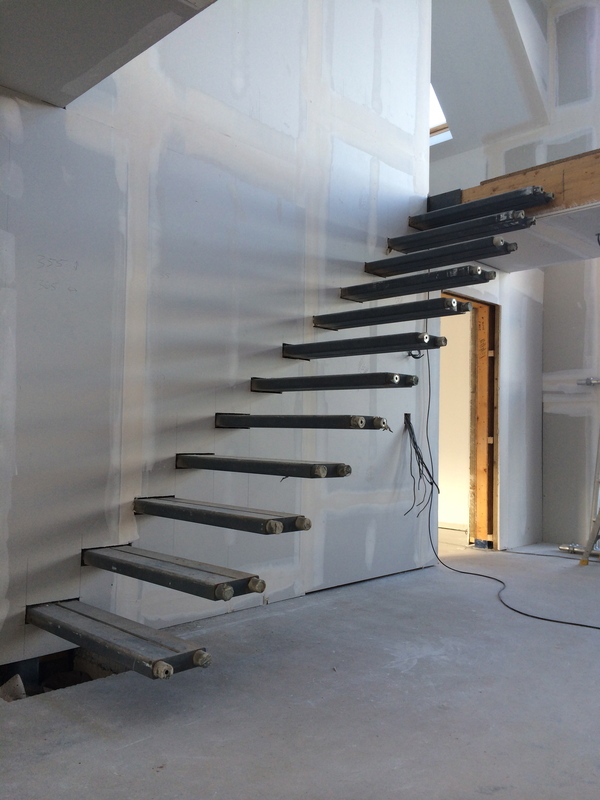 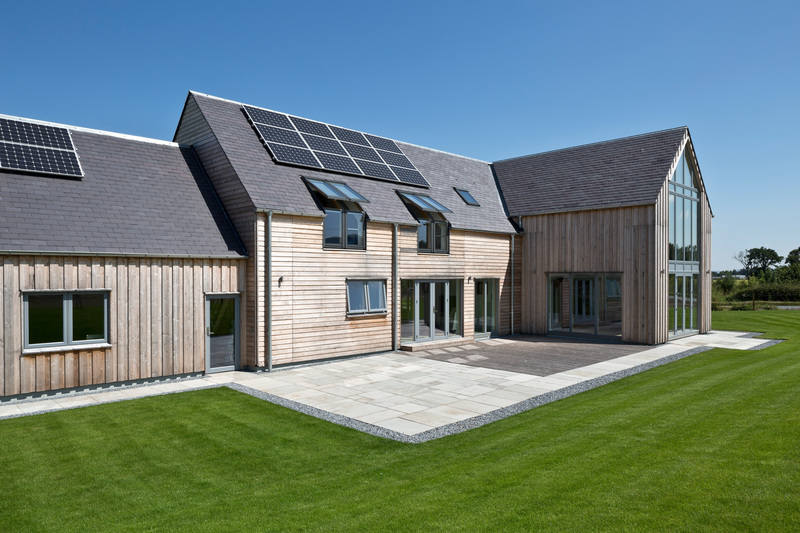 The client project-managed the Self Build throughout, taking twelve months to complete the house – with the building being wind and watertight within four weeks of starting on site. 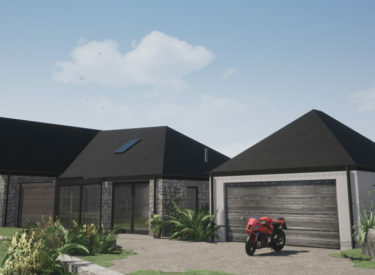 The client built the project for £1,100 m2, giving a build cost of around £450,000, with the completed house being valued at £750,000. 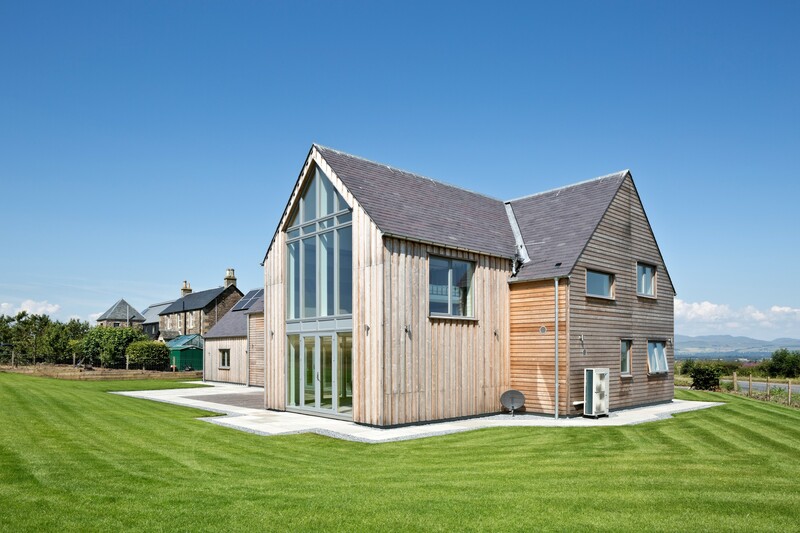 The house was featured by Homebuilding and Renovating Magazine in their December 2014 issue. 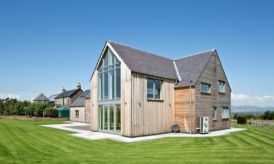 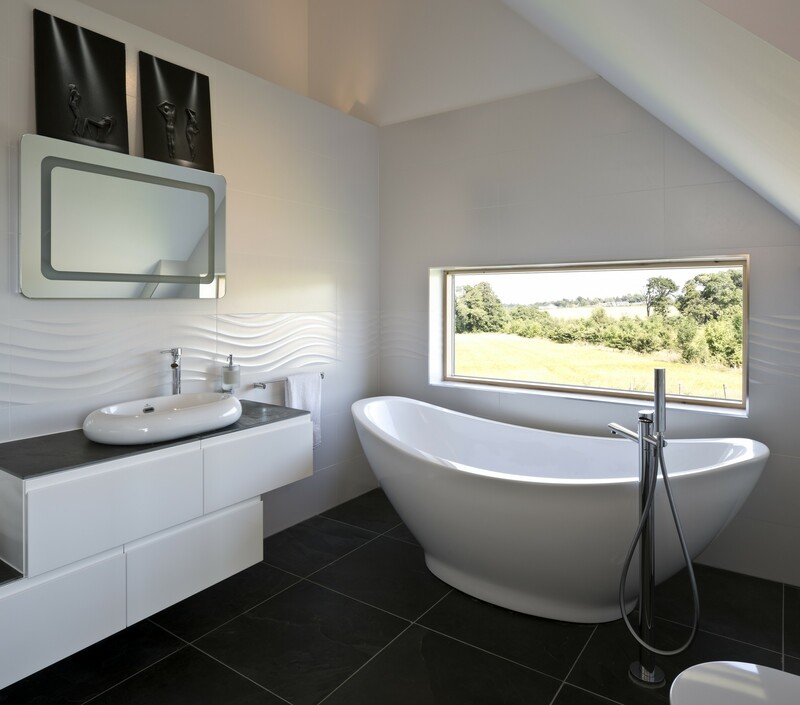 It was also used by Homebuilding and Renovating magazine as their marketing for the Homebuilding and Renovating Shows throughout 2015. 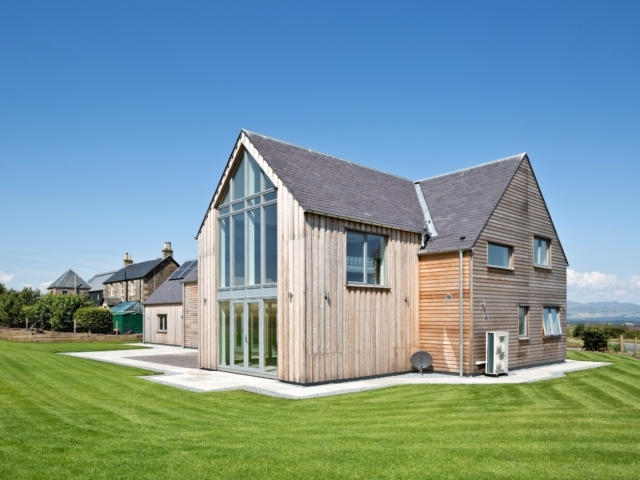 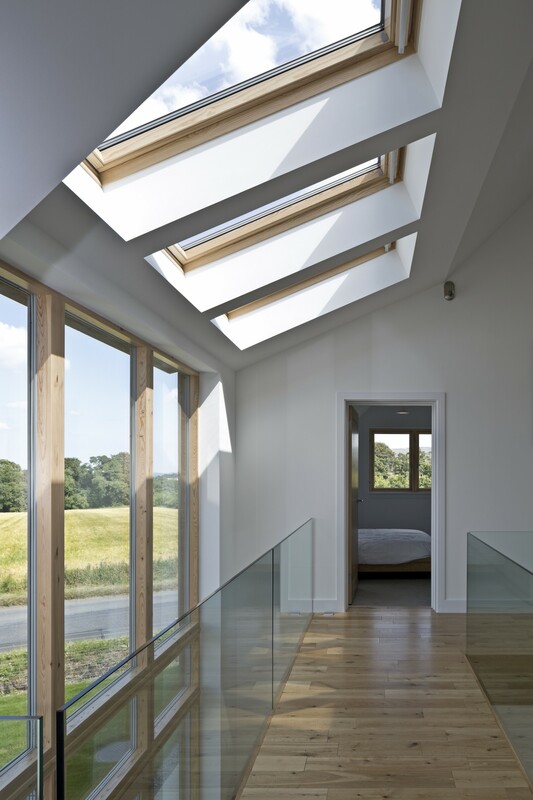 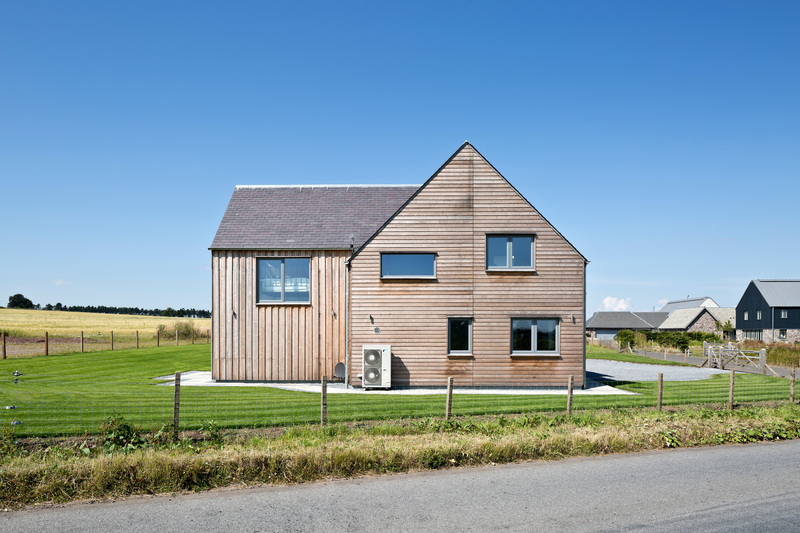 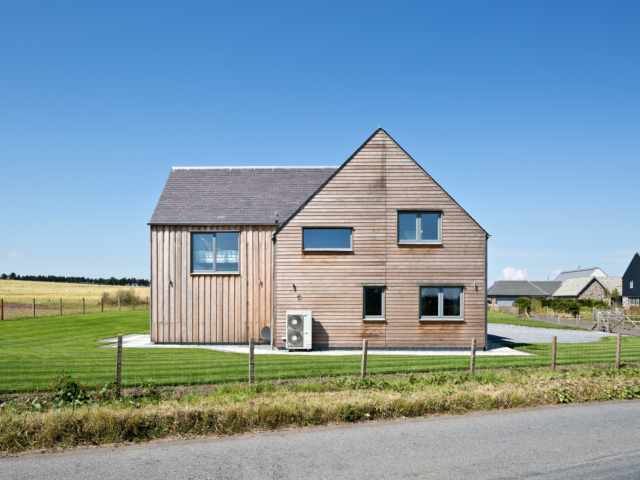 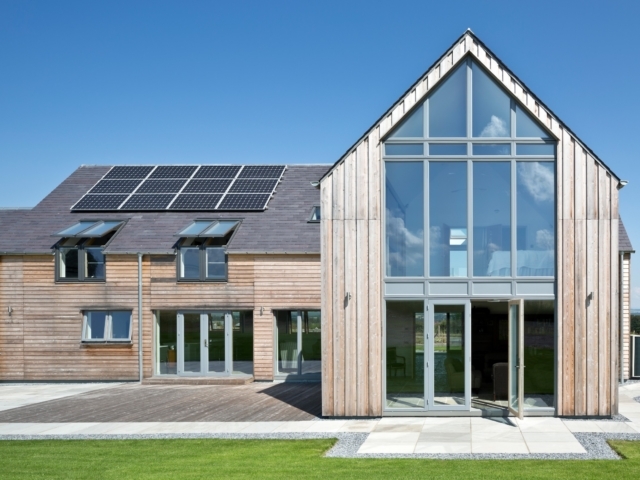 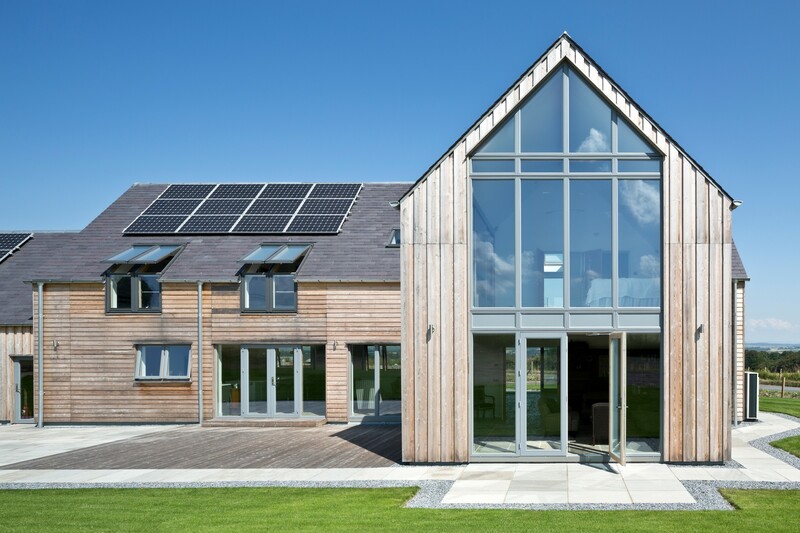 The house was also shortlisted for “Eco House of the Year for 2014” and the completion of the project led to AC Architects being nominated for “Self-Build Architect of the Year”.